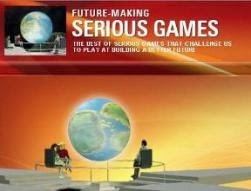 GlassLab announced the launch of Playfully.org, GlassLab’s new destination for high-impact learning games. 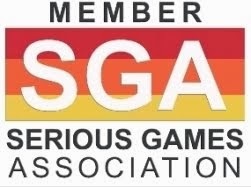 GlassLab has partnered with major players in the learning, assessment, and games community to develop standards-aligned games that meet students’ needs for impactful learning and will make them available in a single place – Playfully. Designed for students, teachers, parents and administrators, Playfully proposition is to make it easy to find and implement the next generation of learning games. Student’s assessment is embedded in the game experience and is reflected back to teachers and students as feedback to empower further learning. According to the new website, the Playfully learning analytics engine makes valid, reliable inferences about student learning and demonstrates the impact that digital games have on improving student outcomes. Argubot Academy EDU is an engaging futuristic adventure game for iOS tablets. Aligned to the Common Core State Standards, the game brings STEM content into the English Language Arts classroom. This new immersive gaming experience helps middle schoolers develop persuasion and reasoning skills. 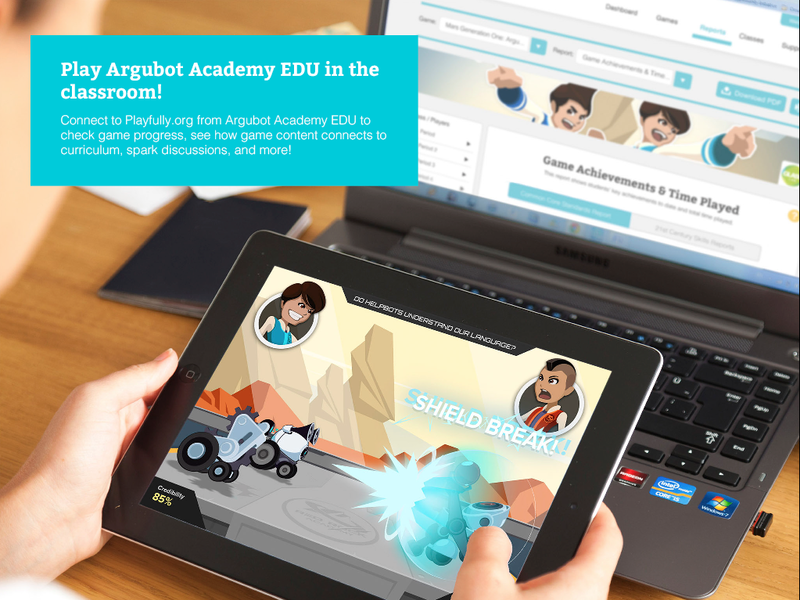 By connecting to Playfully.org from Argubot Academy EDU, users can check game progress, see how game content connects to curriculum, and access standards-aligned reporting on both class and individual students’ learning.